Happy Spring! Issue #3 Of Katastrophic Thoughts Now Available! It’s my birthday and you get the present! 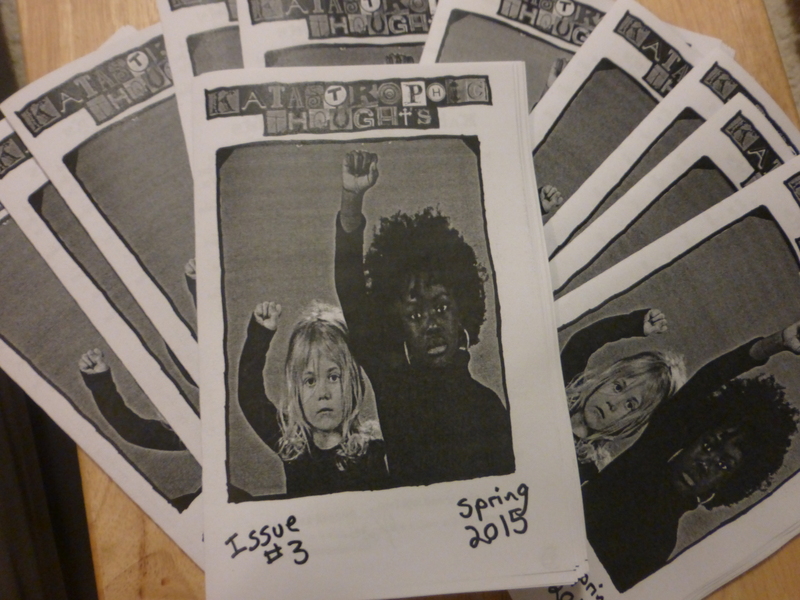 The Spring 2015 issue (#3) of Katastrophic Thoughts (the analog zine version) is now available. It will go out to subscribers next week, and if you are in New York I’ll have all three issues at the Brooklyn Zine Fest on Sunday April 28th. Honoring a beautiful spirit by helping others. You know Rosa Parks, but do you know the other women behind the Montgomery bus boycott? Now you will. There is a lot to be angry about, but we should celebrate our wins as well. Books I’ve loved, books I hope to love and now comic and zine recommendations!